5 Fun, Free & Fascinating Sights in Seattle is not your typical travel guide. The book provides an intimate and often humorous perspective of the Ballard Locks, Volunteer Park Water Tower, Pike Place Market, Fremont Troll, and Washington Park Arboretum. You can use the guide to enhance your stay in Seattle, or if you already live there, use it to become better acquainted with the city. The guide also provides a sure-fire way to entertain you’re relatives when they’ve overstayed their welcome and you want to send they off somewhere so you can get back to Facebook. 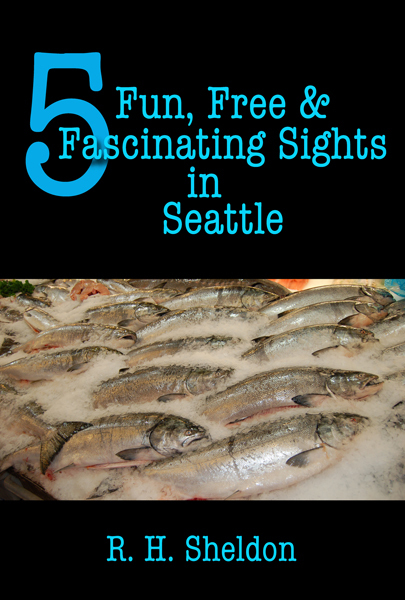 5 Fun, Free & Fascinating Sights in Seattle gives you a close-up and personal look at five free sights that are not only interesting and fun to visit, but are also popular with the locals. What better way to ensure an authentic Northwest experience than to hang out where they hang out? And if you’re really lucky, it will rain the entire time you’re here, then you’ll be a full-fledge member of the waterlogged Seattle community. To see a preview of the places described in the book, you can view a YouTube video that shows photographs of each of the five destinations. You can order 5 Fun, Free & Fascinating Sights in Seattle through Amazon, Barnes & Noble, Apple, Smashwords, Sony, Diesel, and Kobo. 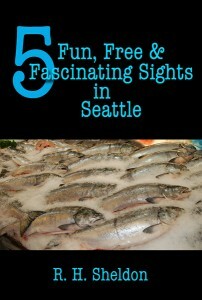 5 Fun, Free & Fascinating Sights in Seattle is part of the 5-Spot ebook travel series, a series dedicated to the frugal, miserly, penny-pinching tourist in all of us. Each book in the series describes five free sights to visit in a city or region that is of course a fun and fascinating place worth seeing.